Home BUSINESS MTAANI Thika residents ignore Raila’s “Public Holiday”. 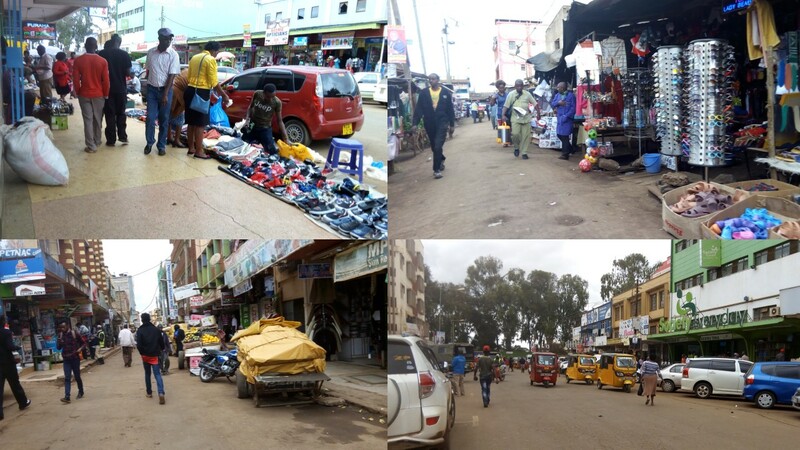 A photo collage of various spots in Thika town. The call for Kenyans not to report to work today (Monday) by NASA leader Raila Odinga was evidently ignored by Thika residents who report to work just as any other week day. In a public rally at Kamukunji Grounds in Nairobi’s Kibera slums yesterday, Raila declared Monday (today) a day of national mourning amid loud cheers from crowd. A defiant Raila succeeded in adding fuel to the fire, told his supporters not to relent and await further instructions on Tuesday. But a tour of the town today revealed that none of the residents took this call seriously. Business in all corners of the town went on without any hitch. Those we spoke to expressed their excitement to resuming work after several days of tension during the general election week. They argued that the opposition leader had no mandate to make such a declaration and was only out to cause chaos in the country. “Raila has no constitutional right to declare a public holiday. This man is just expressing his frustrations after losing the elections. Only a fool will respect his order for a holiday,” said Njoroge Mwangi, a fruit vendor within the CBD. Lucy Njeri, a hawker who sells mitumba outfits wondered how Raila expected them to adhere to his call for boycott considering the fact that they needed to work to earn their daily bread. “If I fail to report to work, will he bring unga to my house? We cannot allow the politics of the day to affect the wellbeing of our families and future of our kids,” said Lucy. Pius Omondi, a jua kali artisan in ‘Kimilili’ garage behind Jamuhuri Market said that Raila’s declaration of a public holiday was a violation of the law as he was neither an MP nor a member of the executive arm of government who were the only ones mandated by the law to prescribe public holidays. Omondi feared for those who would miss work as this was a direct ticket for their employers to sack them. Some of the people we spoke to said that Raila’s attempt was tantamount to a revolution and any attempt to establish a government contrary to the manner prescribed in the Constitution would lead to chaos and loss life or property. They appealed to the government to personally hold him responsible in the event that they were chaos.